Psst…did you know? 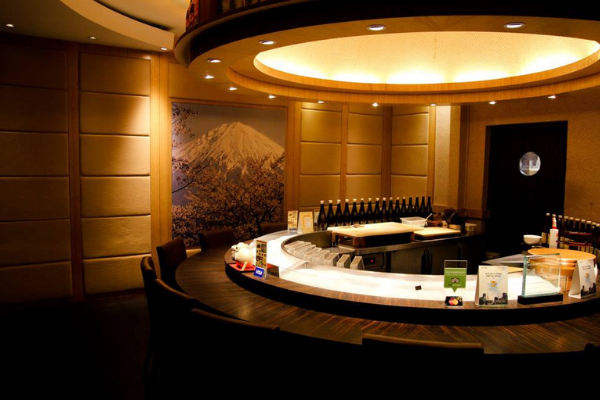 Ishin Japanese Dining is offering brand new signature dishes for TABLEAPP ELITE members! Yes, you heard it right! For your information, TABLEAPP ELITE is a membership in which members can redeem free signature dishes when dining out at participating restaurants. Filled with joy and excitement of the news, I reminisce about the last time I visited Ishin when the signature dishes blew my mind! At that instance, I invited two of my colleagues and we immediately headed to Ishin for our lunch. Upon arrival, we quickly got a parking slot right in front of the restaurant, may I add, finding a parking spot here is a breeze as free valet parking is provided by the restaurant! For us, this is definitely a plus as finding a parking nowadays is a fuss especially during lunch hour. As we walked in, the staff readily held the door open to welcome us, and we couldn’t help but melted a little inside by the warm welcome! 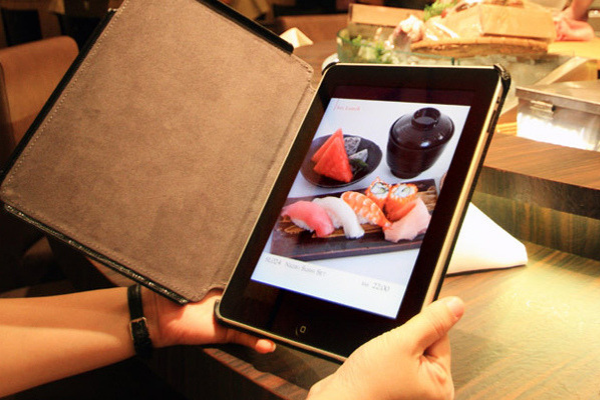 After being seated by the staff, we were each presented with a tab displaying their digital menu. A few minutes went by and to our surprise, none of the ELITE signature dishes were on the menu! Oh no! We extended our concern to the manager and he clarified that the signature dishes we were looking for are actually off-menu dishes. Wow, it means these signature dishes are specially curated by the chef only for ELITE members! After ordering our dishes, we waited patiently while chatting away, and it didn’t take long before the first dish was served. Placed in front of us was the Hokkaido Uni Chawan Mushi presented in an aesthetically appealing ceramic cup that came with a lid. 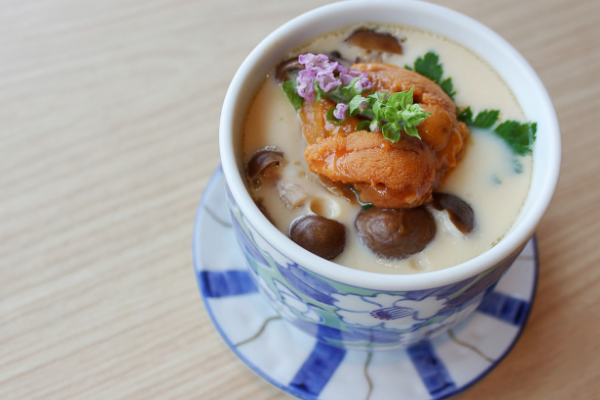 For us, the lid actually added an element of surprise because one of the joys of eating Chawan Mushi is discovering the “treasures” hidden in the custard. And it did not disappoint us at all! This little cup of warm deliciousness is topped with premium quality Hokkaido Uni which adds a creamy and rich flavor to the already silky smooth egg custard. 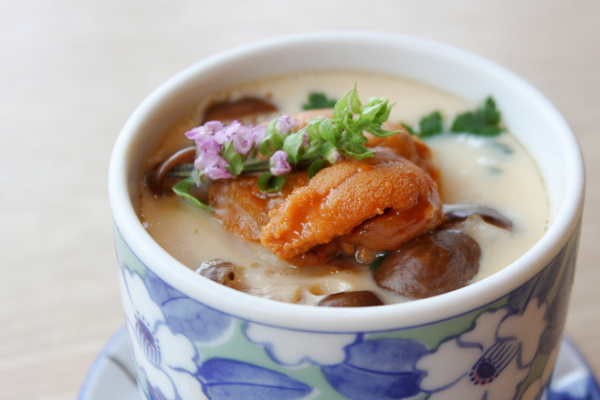 Scoop a little deeper and you will unveil many ingredients such as mushrooms, Narutomaki (a type of cured fish surimi) which is imported from Japan, diced chicken, ginkgo nut and prawn. Overall, this dish was great as an appetizer and it really amazed us by how well the uni and egg complemented each other. 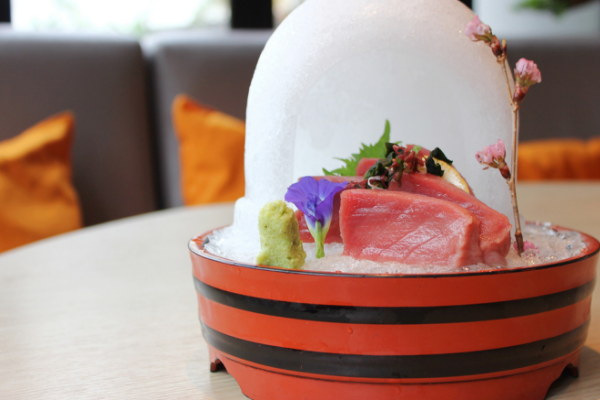 As we were finishing our appetizer, the highlight of our lunch arrived – Ishin’s signature Bluefin Tuna Sashimi beautifully presented atop crystal-like crushed ice. There were five glistening pieces of tuna which were a mouthful but in a good way. Just like how it should be savoured, we added a little dab of wasabi to go with the Akami before enjoying it in one wholesome bite. I must say the zesty wasabi really brings out the best of the tender Akami, and how we wish there were more! So far this is one of our favourite dishes. Apart from that, this dish really got us excited because it has an igloo which was embellished with contrasting flowers! If you are someone who loves taking food pictures, this dish is a must–order! Here comes the last dish which, in my opinion, is very luxurious indeed. Why? 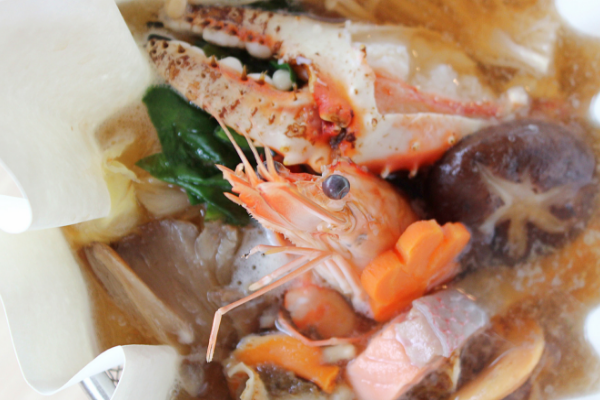 It felt like we were being pampered with all the gifts of the sea, from Hokkaido king crab, tiger prawn to scallops, this soup is worth every penny! In case you don’t know, in Japanese, “Kami” means “Paper” and “Nabe” means “Pot” and essentially you will be served a paper pot with fire literally burning beneath. What!? Don’t worry, we were shocked too but upon asking the manager, we found out it’s actually common in Japanese cooking. Let’s talk about the soup! 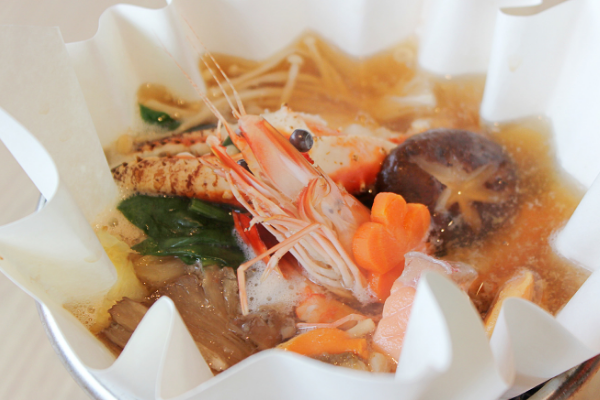 Every sip is filled with mind-blowing seafood goodness, it’s no surprise though, judging from the ingredients used. Not to mention the crab meat and the prawn were so succulent and fresh that all were gone in a blink of an eye! While finishing our last dish, at the back of my mind I was thinking if anyone were to ask me where to go for good Japanese dishes, I will point them in Ishin’s direction! 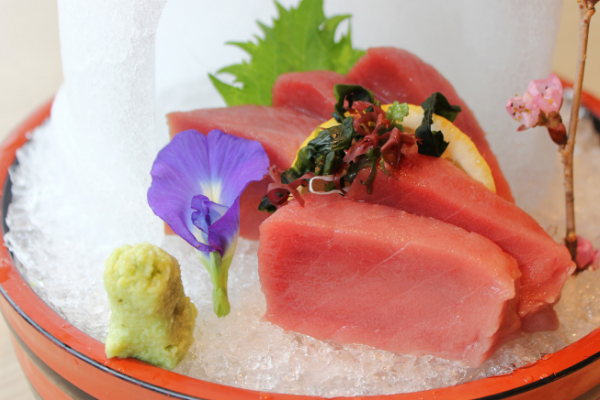 Next Post Do You Know Your Tuna: Akami, Chutoro and Ootoro?